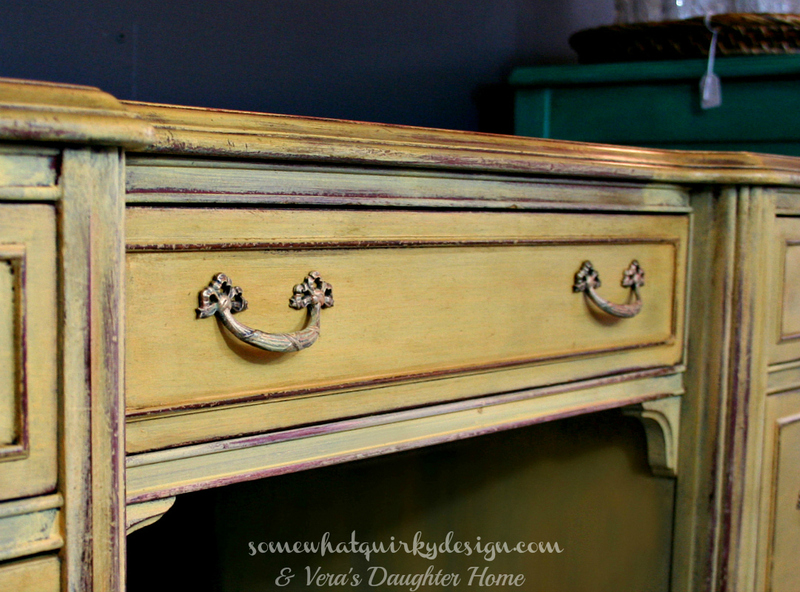 I've been putting off showing you this gorgeous vanity we painted at Vera's Daughter, because I wanted to wait until I could combine it with a tutorial for two color distress. But I can't make up my mind how I want to do that tutorial so, alas, this post will be tutorial-less. But I must say . 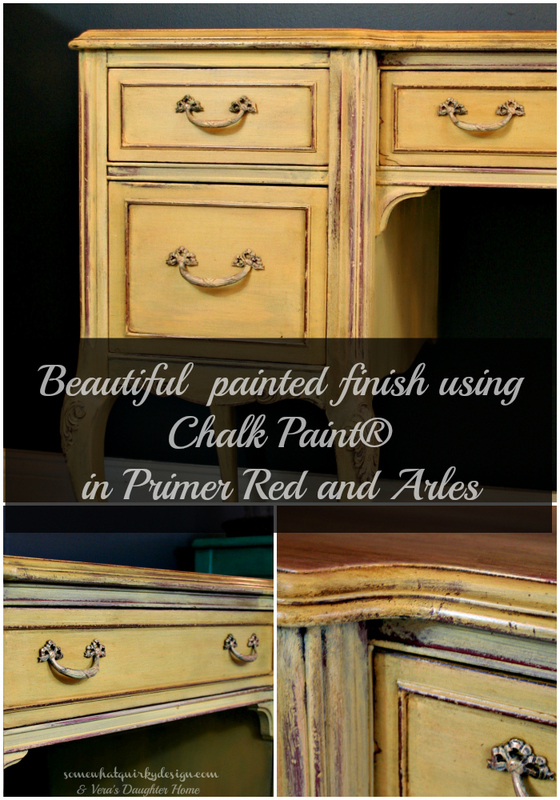 . .
Chalk Paint® in Arles. 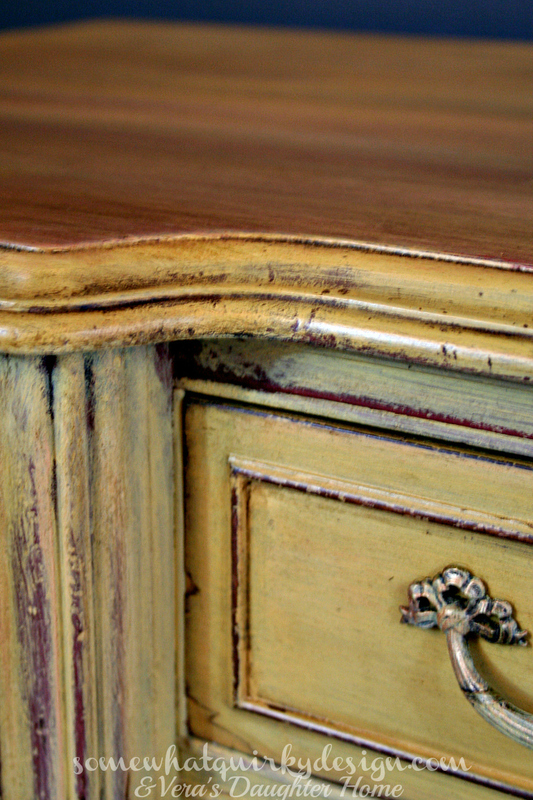 It is covered with a coat of Soft Wax and Dark Wax. I did the wax on this piece just like I did it on the Coco Curio. 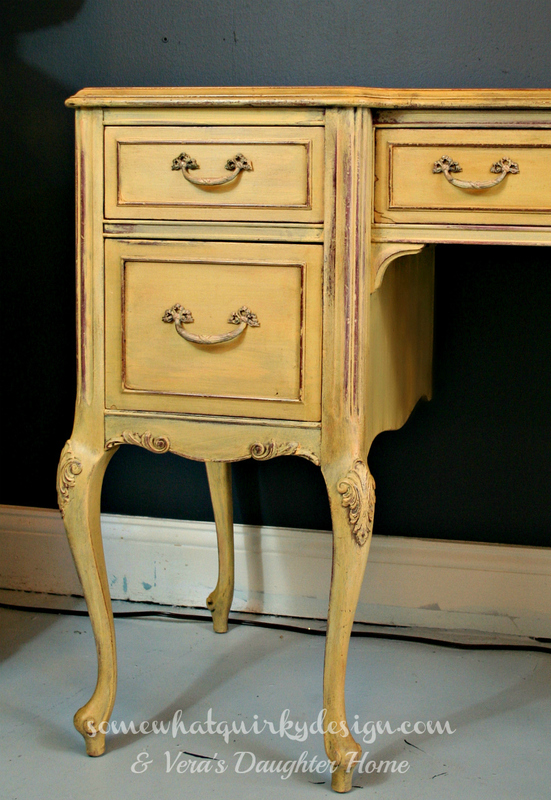 Can you believe the hardware on those drawers? It's all fancy-pants and everything! This was done for a client and boy was she happy! I promise I will be working on a tutorial this week. Like this finish? See more here and here. This is quite lovely and I do wish for a tutorial. Where did the blue shadows around the edges come from? 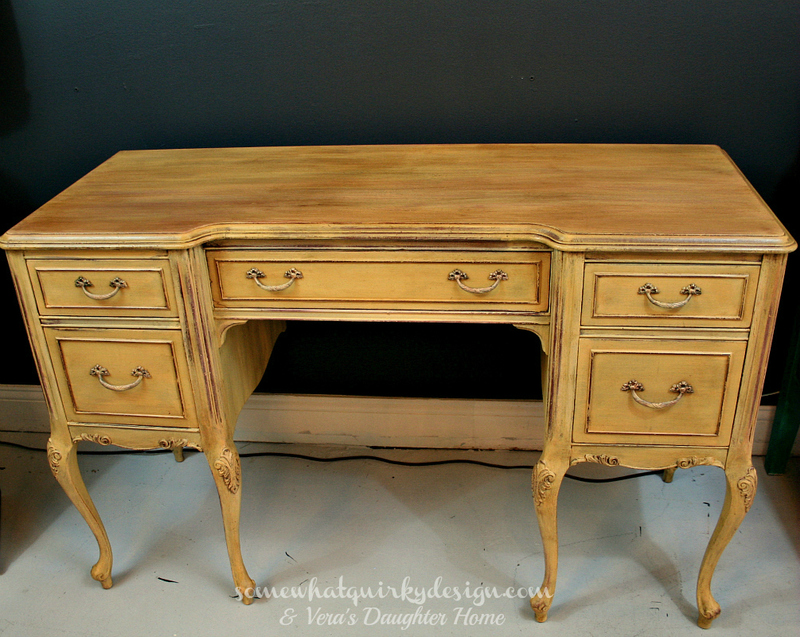 I am actually drooling over this desk. I love ASCP Arles and I love the amazing job you did on this piece. I need you to come for a visit and help me with a piece I just painted. You have such a knack! That is a beautiful piece! 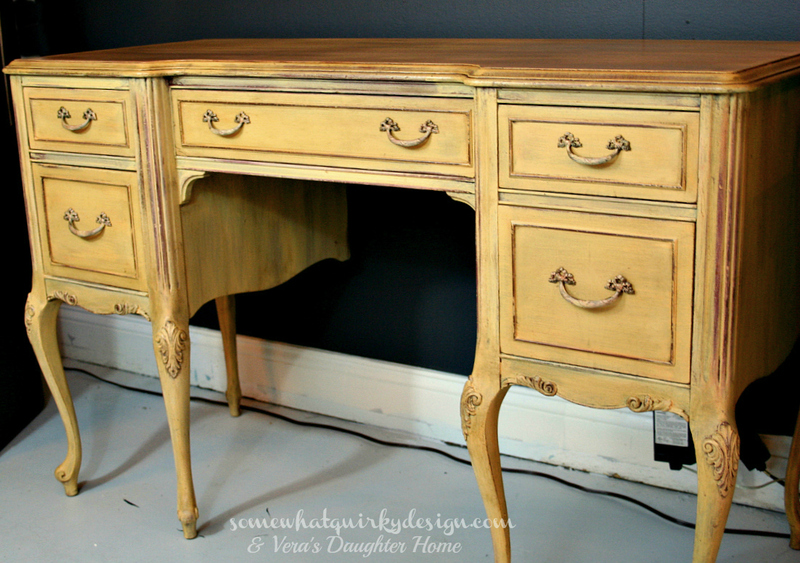 The finish really shows off the pretty details too. Great job! What a stunning piece and the paint job is amazing! Lovely piece! Such a nice technique!